Success on Bing Ads for Australia’s largest local search, media and advertising company using Acquisio’s Power Cloner and AI-powered Bid & Budget Management tools! Sensis is Australia’s largest and #1 local search, media and advertising company. The Sensis purpose is to engage Australian consumers with businesses and today delivers on that promise through its leading digital consumer businesses (Yellow Pages, White Pages, TrueLocal, Whereis, Skip), search engine marketing and optimisation services, website products, social, data and mapping solutions and through its digital advertising agency, Found. Sensis is also Australia’s largest print directory publisher including the Yellow Pages and White Pages. As the search marketing industry evolves it becomes increasingly important to diversify spend across different publishers. For Sensis, Australia’s leading marketing service company, distributing spend across different publishers, including Bing, became an important factor in delivering better results to their clients. Sensis is a major player within the Australian market, with thousands of small and medium business (SMB) clients, so it was important to deliver the best results possible for each of their local business users. For Sensis it was about trying to diversify the channels for their customers to give them greater reach and exposure to new potential customers, that they wouldn’t otherwise have access to by advertising on Google alone. “Because Google controls so much of the market we saw that cost-per-clicks (CPCs) were going up and click-through-rates (CTRs) were either stable or falling. We wanted to drive the best results we can for our customers, so we decided to tap into a new audience and see if it improved performance,” admits Pegg. “The results we’re seeing from Bing have been really good, with CPCs equal to or lower than Google. We’ve found that with Bing Ads we are driving better bang for our buck,” says Pegg. Sensis realized that although Bing holds under 10% of the market share in Australia, without targeting Bing they were losing out on that audience. By targeting both search engines, the company was able to get access to nearly the entire market, which improved overall campaign performance. A “Bing has a very unique audience,” explains Diana Finster, Global Channel Development Lead, Tool Providers, from Microsoft. “Bing worldwide searchers spend 145% more than the average internet searcher. Additionally, our searchers are affluent and well educated. Most importantly, Bing Ads offers an exclusive audience. Without spending on Bing you miss out on this unique audience. Plus, accessing this audience is cost effective. Compared to other search engines, Bing Ads is more cost effective across all major verticals, with lower average CPCs. On average, CPC was 40% lower on Bing Ads compared to AdWords. Sensis realized these benefits and decided to capitalize on this opportunity for additional reach. Using Acquisio’s BBM solution there was no longer a threat of overspending, because budgets are set as constraints and cannot be surpassed. As for accounts under-spending budget, the small percentage of Sensis’ accounts that were struggling to spend the full budget were able to increase their spending thanks to Bing Ads. and BBM. Of the struggling accounts, an average 50.6% of the budget was spent. Once the accounts were set up with Bing Ads, these once under-performing accounts were then able to spend on average 85.2% of the budget. When Sensis expanded their audience to include Bing searchers, they were able to increase attainment by 34.6%! For many marketers new to Bing Ads, there is a common misconception that setting up campaigns with the new publisher can be a time consuming exercise, and in turn often acts as a barrier to enter the new market. Rather than build entirely new campaigns for Bing Ads, Acquisio developed an ad cloner to replicate ads from AdWords to Bing Ads. In an effort to help those familiar with AdWords feel more comfortable with Bing Ads, and to make the transition as seamless and as simple as possible, “we worked hard, in the past couple of years, to improve time efficiency and usability for those starting up with Bing Ads,” explains Diana Finster, from Bing. “With the cloner and BBM for Bing, it’s easier than ever to get onboarded with Bing and access this quality audience to improve reach and performance for clients,” says Finster. Setting up accounts with the cloner is step one, running Bing Ads with Acquisio’s Bid and Budget Management is step two. 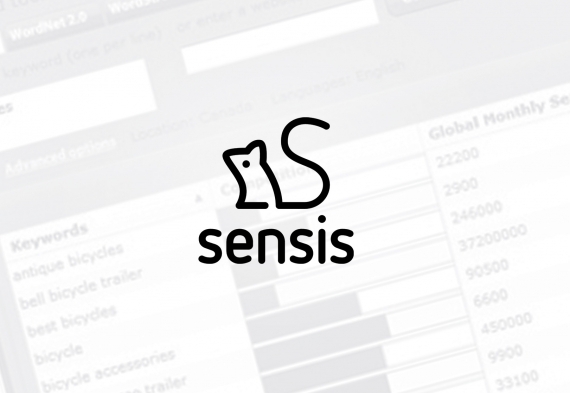 Sensis had difficulty managing budgets with their previous vendor, yet “the performance we’ve seen with Bing on Acquisio has been great,” says Cam Pegg. Since starting to advertise with Bing Ads, Sensis saw an overall increase in clicks of 18% with the average CPC reduced by 16%! The graph shows the increase in clicks and the decrease in CPC for the month of August, when BBM was set up for accounts on Bing Ads. After seeing lower CPCs and better CTRs with Bing Ads, all accounts running on AdWords with Acquisio now run on Bing Ads as well. To find out more about Sensis’s success with Bing Ads and BBM, download the full success story.